The uDraw GameTablet ™ is a first-of-its-kind, revolutionary game system that provides a unique and fun way for kids and families to play with Wii™. 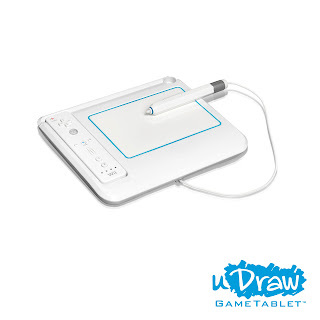 With innovative features that allow kids to express themselves and bring their imaginations to life, the uDraw GameTablet creates an all-new category of play through an easy-to-use system. 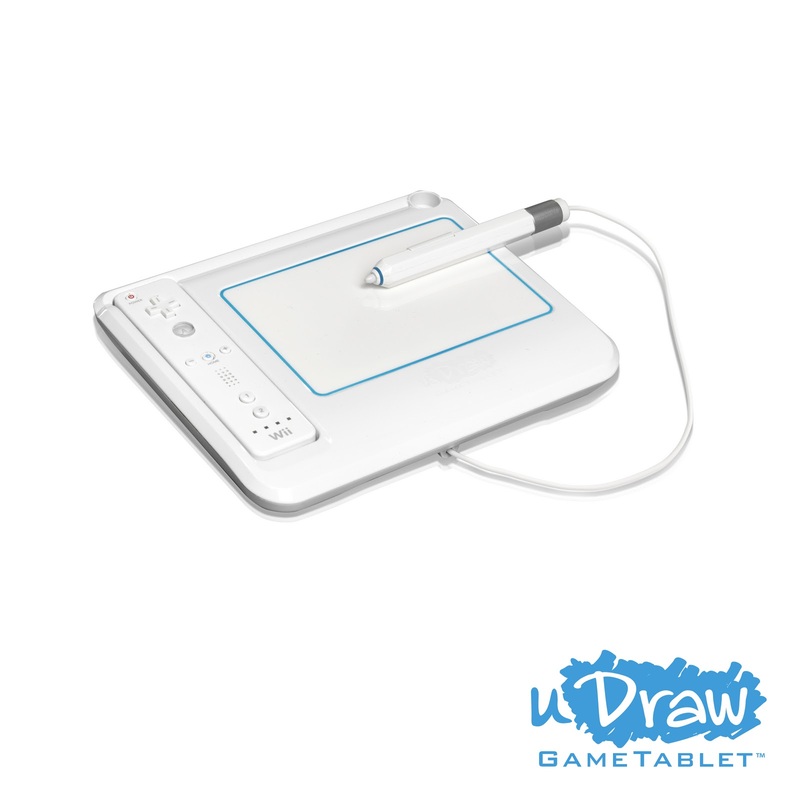 The uDraw GameTablet will come bundled with the uDraw Studio game software. Other games available at launch include Pictionary and Dood’s Big Adventure, with more titles debuting in 2011. 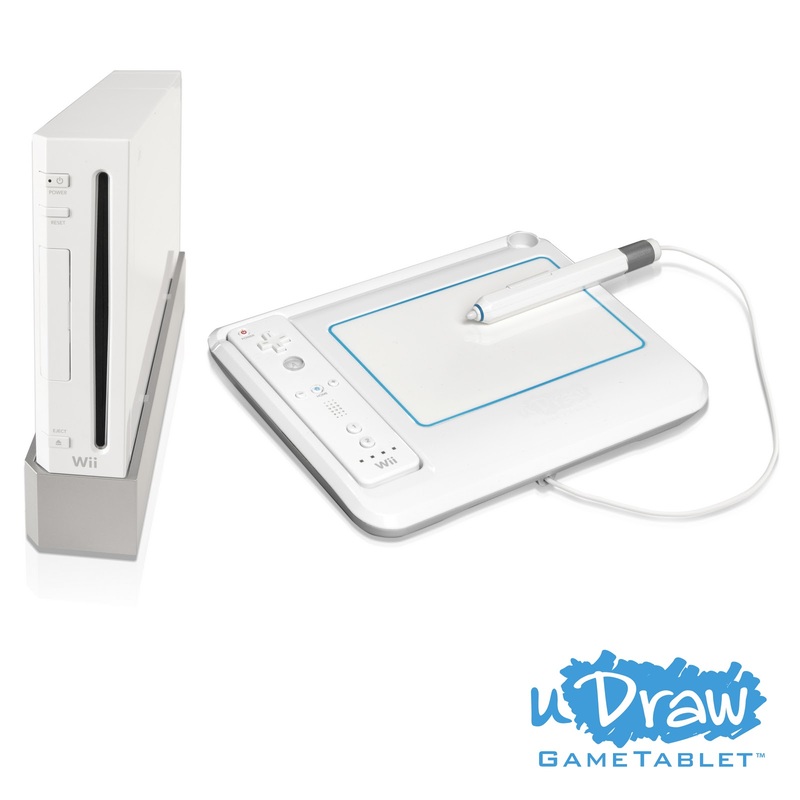 · Connectivity – Wii Remote™ docks with the uDraw GameTablet and draws battery power directly from Wii Remote. · Exceptional Movement – Offers players unique tilt movement options by capitalizing on the Wii Remote’s motion sensors. Players can control their characters, moving and directing them throughout levels of the game. · Simple Design – Pressure sensitive stylus features two buttons that mimic the C and Z buttons of the Wii Nunchuk allowing players easy operation with intricate movement capabilities. · Accessory Integration – Features convenient storage area for wrist strap and stylus, as well as ink well for quick storage. · Generous Surface Area – A 4x6 drawing space provides users with plenty of creative room yet remains small enough for easy maneuvering. My Take on the TabletMy daughters love to doodle and draw and when I saw that they could do their drawing and play the WII, I thought, what a great combination! When we received it, the girls were excited to try it out. At first we had to do simple things like doodling to get the hang of it, but before too long we were having a ton of fun. I was also able to try out the Pictionary game with the girls and this too was easy to use and a ton of fun. What I liked most about this was that you could save the pictures your drew and share them online. The Tablet was so easy to connect and start using. You simply hook up the WII remote to it and you are good to go. This was one "game" that to me did not feel like a game, and instead it encouraged creativity and artistic expression! I highly recommend this for any budding artist or WII fan!